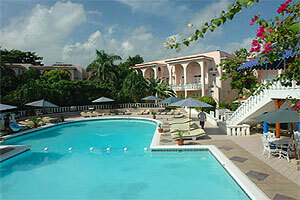 Franklin D Resort on Runaway Bay Beach is an intimate beachside resort, located in Runaway Bay Jamaica. Get ready for your three-in-one vacation! You'll get an intimate Jamaican escape for you and your spouse, a lively adventure for your children, and a chance to experience the best family holiday ever. Upon arrival at Franklyn D. Resort and Spa, you are greeted by your family's own Vacation Nanny - it's an indulgence you won't find anywhere else in Jamaica or in the Caribbean. Her job is to pamper your children while you relax on the beach or take advantage of all our adult activities like scuba diving. And when you want to spend time as a family, she will care for your suite - making it clean and tidy - and will stock your refrigerator. Unlike other resorts, this nanny is exclusively yours as part of your all-inclusive package - our staff-guest ratio is 1:1. And by the end of your holidays, you'll be pleasantly surprised to discover that your Vacation Nanny feels like part of your family.